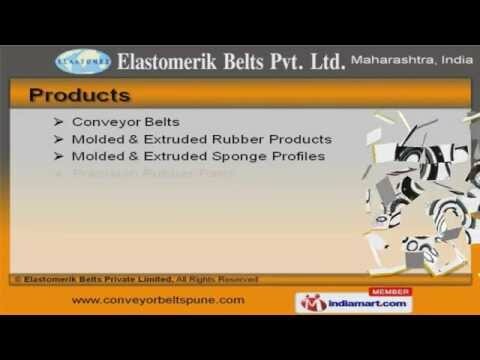 Welcome to Elastomerik Belts Private Limited. We are Manufacturer & Supplier of Conveyor Belts & Molded Products. We are an ISO 9001:2000 certified company, established in the year 2004, at Pune. Indian Subcontinent & Middle East are some of our major markets. Continental Belting Company & Aaditya Engineering Corporation make us stand apart from others. We offer a wide array of Conveyor Belts, Precision Rubber Parts & Molded & Extruded Sponge Profiles. Conveyor Belts offered by us are widely acclaimed in the market. Our Food Grade Conveyor & Oil Resistant Conveyor Belts are available at industry leading prices. We offer Molded & Extruded Rubber Products that are best in the industry. We also provide Molded & Extruded Sponge Profiles that are a class apart. Along with this we offer Precision Rubber Parts that are cost effective.